Frozen Bananas- Not for just for banana bread! | This RD Eats! One of my kids’ favorite snacks came about completely on accident. 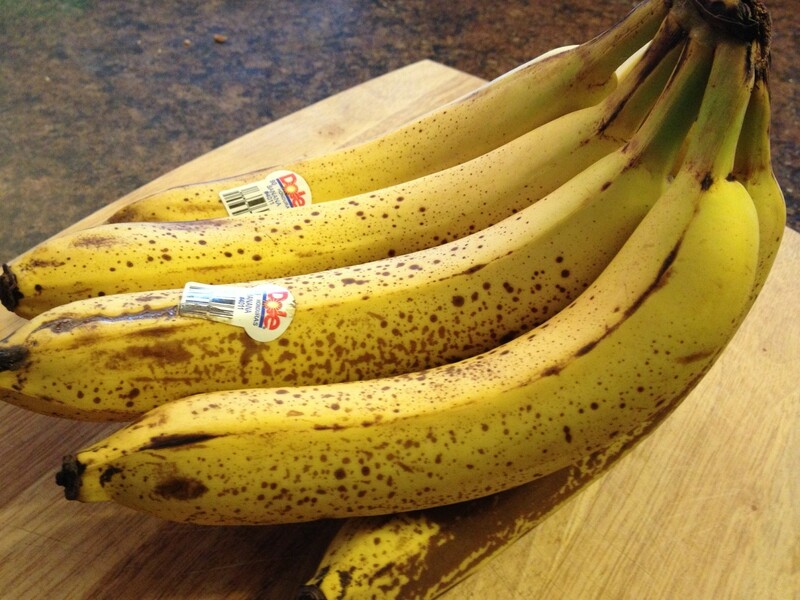 Growing up, when bananas became too ripe to eat (with brown speckles), they would get tossed (whole) into the freezer to be saved up for making delicious banana bread. So naturally, once I had my own house and found the last of the bananas looking a little sad and spotted, I tossed them in the freezer to save for my own banana bread. This process is great for anyone who actually takes time to make banana bread.I however, am not one of those people. The reality (at least in my house) was that everytime I opened the freezer, at least one hard “banana log” would come shooting out at me (usually landing on my bare toe). I’m sure that it was the banana’s gentle reminder that I had been neglecting the delicious frozen fruits and needed to make banana bread, but the truth is, I never made banana bread. Instead, I would dilligently collect the bananas until my freezer was overflowing and then I would get so frustrated with them that I would throw them out, vowing to do better next time. Once I had kids, I decided that enough was enough. It was time to come up with a better solution to the “banana logs”. I had been freezing pineapple and grapes for summertime treats and I wondered if I could do the same with bananas. As it turned out, my family loves frozen banasas even better! Frozen bananas are an easy snack that I almost always have on had (I will even buy extra bananas just so that I will have some to freeze). The texture is so smooth and creamy and the taste is sweet. My kids will often choose frozen bananas as their dessert after a meal. It fills the craving for ice cream while counting as a fruit serving. That is a win-win for this dietitian-mom! I encourage you to try something new with your extra-ripe bananas. They make great snacks for kids, adults and everyone inbetween. Add to smooties or use as a part of a recovery snack after a hard workout. 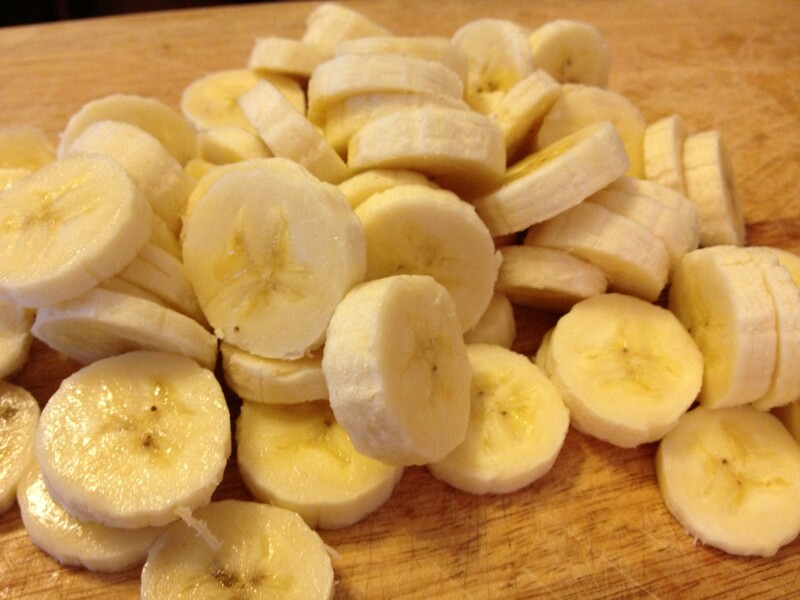 Slice your ripe bananas into pieces. Place frozen banana chips in a resealable container (we use a zip-top bag) and put back in the freezer to enjoy later. This entry was posted in Recipes and tagged banana, bananas, frozen bananas, fruit, recovery snacks. Bookmark the permalink. 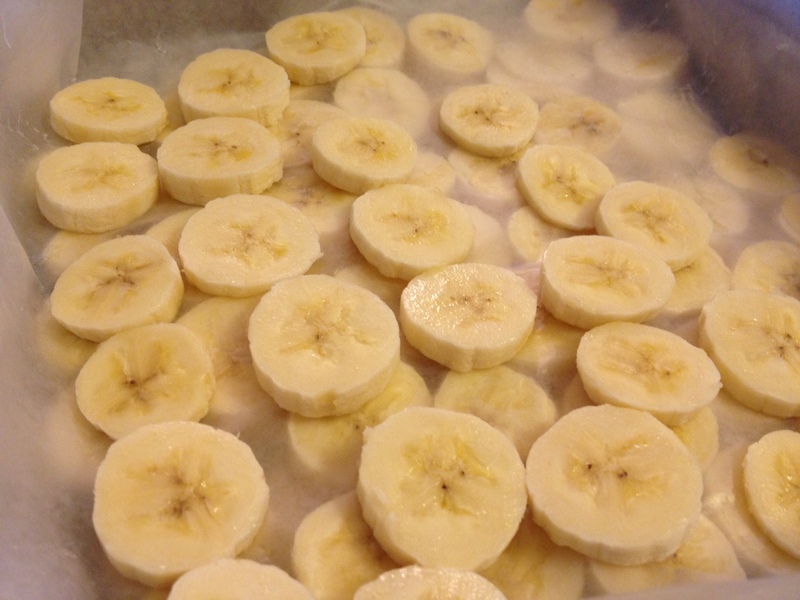 3 Responses to Frozen Bananas- Not for just for banana bread! Great idea! It would be fun to dip them in chocolate too! We sometimes add chocolate chips. My kids LOVE them. I give them toothpicks and they gobble the frozen bananas right up!